Right now, all of the focus when it comes to the DCEU is being placed firmly on Wonder Woman, and rightfully so. After all, the film’s due to arrive in just a few short weeks and with early reactions painting it as an absolute winner, fans are hopeful that this will finally be the movie that gets things back on track for the studio’s struggling cinematic universe. Looking further ahead though, and Warner Bros. has several other DC projects cooking in the oven which we’ll hopefully start learning more about in the not too distant future. Of course, one of those is Cyborg. The character showed up briefly in Batman V Superman: Dawn of Justice and will feature heavily in Justice League, but he’s also set to get his own solo outing in 2020. At least, that was the original plan. However, since being announced, we’ve literally heard nothing about the film, leading to people wonder if it’s still even happening. It’s a valid concern, given what we’ve seen in the DCEU in the past, but as it turns out, fans have absolutely nothing to worry about. At least, not yet. 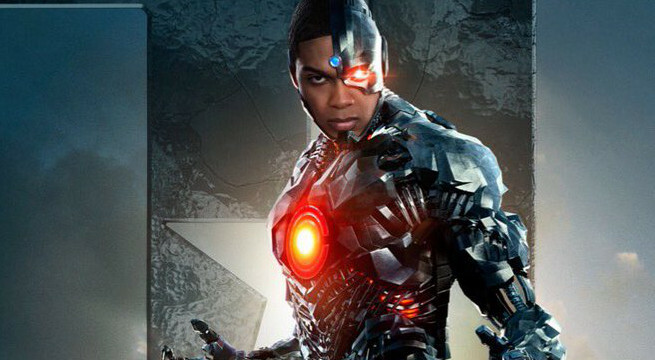 At the City of Heroes convention in the UK this weekend, Ray Fisher, who plays the titular hero, was on hand to answer questions and confirmed that Cyborg is still on track to hit theatres in 2020. That’s certainly reassuring to hear, but as DCEU fans will know, things don’t always go according to plan. Both The Batman and The Flash have faced numerous setbacks in recent months, resulting in delays and production troubles. Just because Cyborg is in the clear at the moment, that doesn’t mean it’s going to be smooth sailing from here to release. Still, there’s no reason to start casting doubt, as the project has tons of time to get its act together and find a cast, writer and director. We haven’t heard anything on who Warner Bros. may be looking at to bring on board for those roles just yet, but that’s understandable, as they’ve no doubt got their hands full with Wonder Woman and Justice League. Once those two films are out of the way though, we imagine we’ll start learning more about what the studio’s got in store for us with Cyborg. As always, watch this space for more.